Chris Christie! 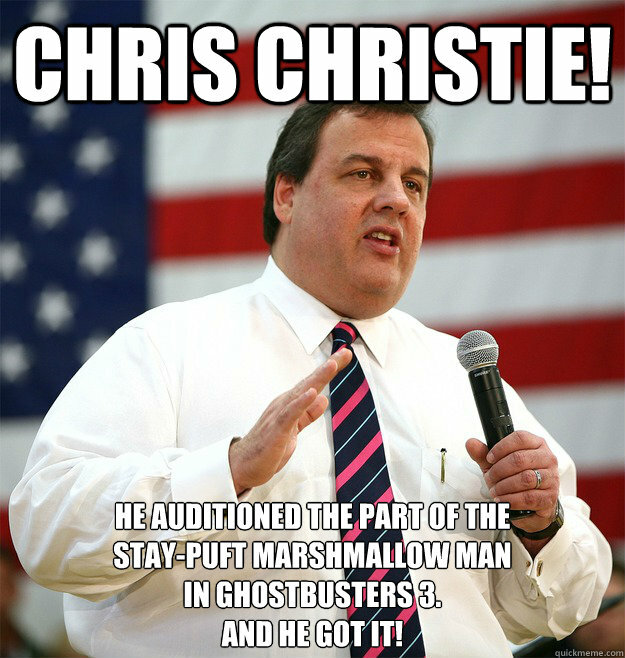 He auditioned the part of the Stay-puft marshmallow man in Ghostbusters 3. And he got it!